Introduction: Many readers are undoubtedly familiar with the MajorCraft brand. 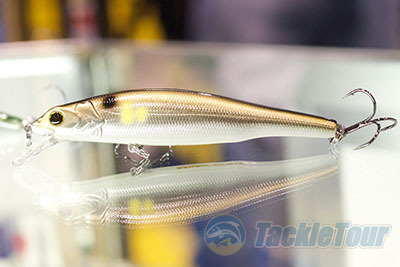 At ICAST 2013 in Las Vegas, the TackleTour crew was surprised to see MajorCraft in attendance with a large showing of products. While their initial intentions of releasing rods on our shores were postponed due to complications, they have informed us that their arrival is now confirmed for around the end of the year. Let's check out what we have to look forward to! NANOACE: This will be the initial series of bass rods launched by MajorCraft on American shores. These new blanks will be reinforced by a special prepreg using Toray NANOALLOY, which is a technology that combines multiple polymers at the nano-metric scale for increased durability and performance. The exact graphite is said to be a �company secret,� however it is a mix of mid and high-grade carbon. This new series utilizes simplistic looks and basic, but clean components to keep the cost down. 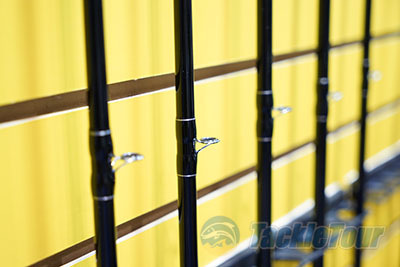 Each rod showcases a gloss-black blank and foam split grips. Casting models will feature Fuji ECS reel seats, while spinning models sport Fuji VSS seats. 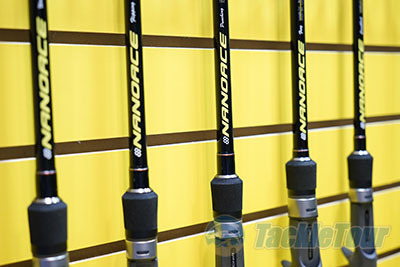 All NANOACE rods will also be adorned with Fuji O-ring aluminum oxide guides to help retain the affordable price point. 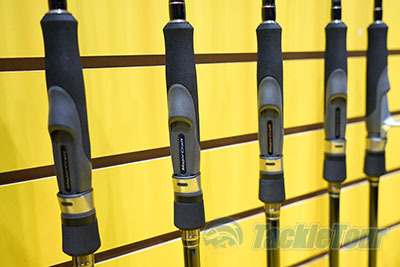 A full technique-specific lineup will be available with 16 casting rods ranging from 6-feet 6-inches to 7-feet 10-inches, and 8 spinning models from 6-feet 6-inches up to 7-feet 3-inches in length. MajorCraft NANOACE rods will be built in Vietnam and are scheduled to be available here in the states before Christmas. Expect an MSRP of approximately $99.99�$119.99. They are also looking into offering a second rod series (at a later date) above the NANOACE using Fuji Alconite guides with pricing around $129.99�$149.99. 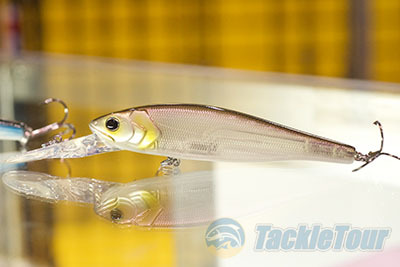 ZONER hard baits: MajorCraft is also releasing three series' of hard baits in November called the ZONER. 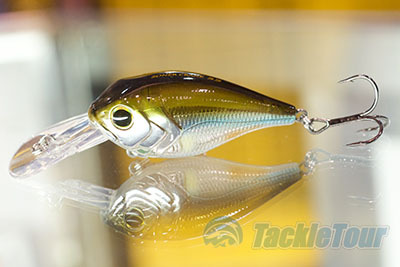 The suspending ZONER minnow is great for twitching or straight retrieving with its small bill and will dive to a maximum depth of nearly five feet in its largest form. Second, a suspending jerkbait will be hitting the market that will attain a maximum depth of around 9 feet for the largest model. Finally, a floating shallow crank will also arrive. Its largest size will dive a bit over 6 feet. All baits are available in four sizes and 24 colors each, and will carry an MSRP of $8.99�$9.99. 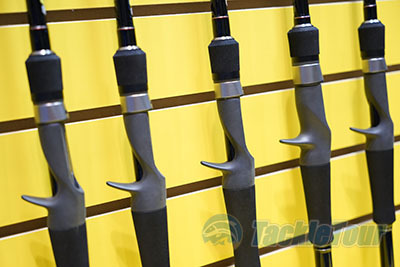 Conclusion: We liked what we saw at the MajorCraft booth at this year's ICAST. The new rod line seemed very promising at its respective price point, and the lures looked like quality items as well. As MajorCraft eases into the U.S. market, we look forward to subjecting one of their new rods and some baits to full reviews!